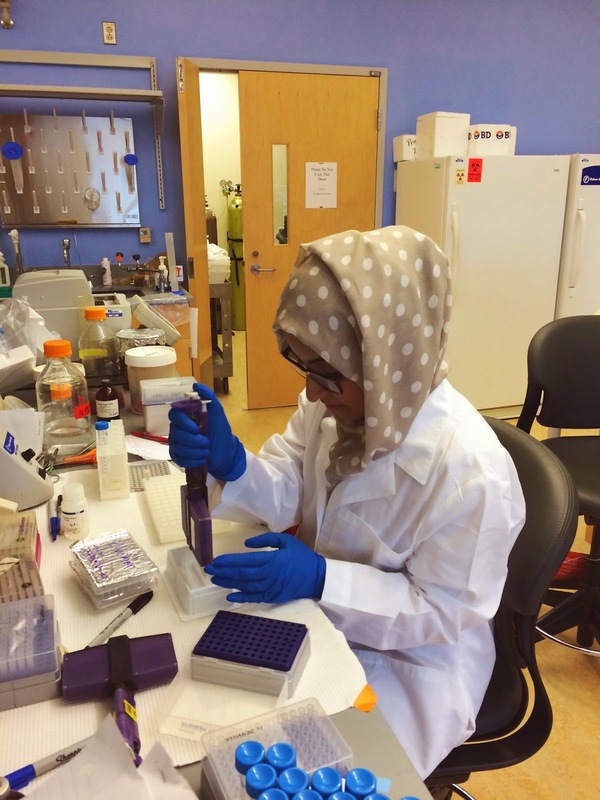 This week, Sheikh Zayed Institute student innovator Shatha Al Wahhabi describes her experience with trial and error and what she has learned while here this summer. “Throughout my training journey in the institute, I have learned that failure is inevitable, and only makes you stronger and tougher. At certain times, I am not able to get the desired results out of the experiment that I am working on. I do not give up and I repeat the experiment. After repeating the experiment, I get the desired results. I know that everyone must fail in order to see what their mistakes are and then correct them. In addition, I have learned how to work in teams and share ideas with others. In most cases, someone starts with a doubtful single thought, but other members in the team help to evolve the idea into something bigger and make it thrive. A little bit of creativity, imagination and innovation are always beneficial in such projects. Last but not least, the institute taught me to seek knowledge as much as I can, and to be fully educated about the topics that interest me. I learned that reading articles and research papers about topics that you are interested in, and keeping yourself updated guides you through your project significantly. Knowledge is limitless and it keeps evolving day by day – especially in the domain that we are working in, which is research." 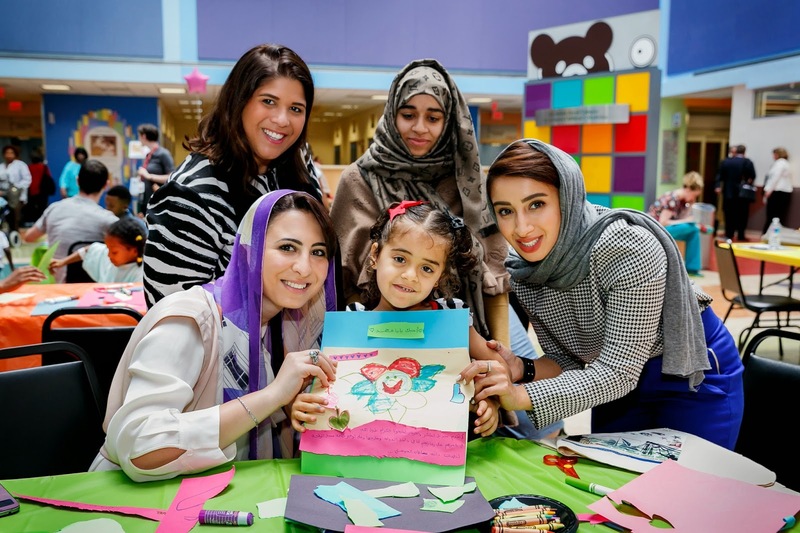 As Winston Churchill said, “Success is not final, failure is not fatal: it is the courage to continue that counts.” In the Sheikh Zayed Institute, everyone is encouraged to create and immerse themselves in the entire innovation process – which can include some setbacks and unforeseen complications. What is most important is that everyone is given the room to learn along the way, adjust their plans, and then receive the support to continue to pursue the most promising ideas. Shatha is currently in her second summer as a Student Innovator for the Sheikh Zayed Institute. 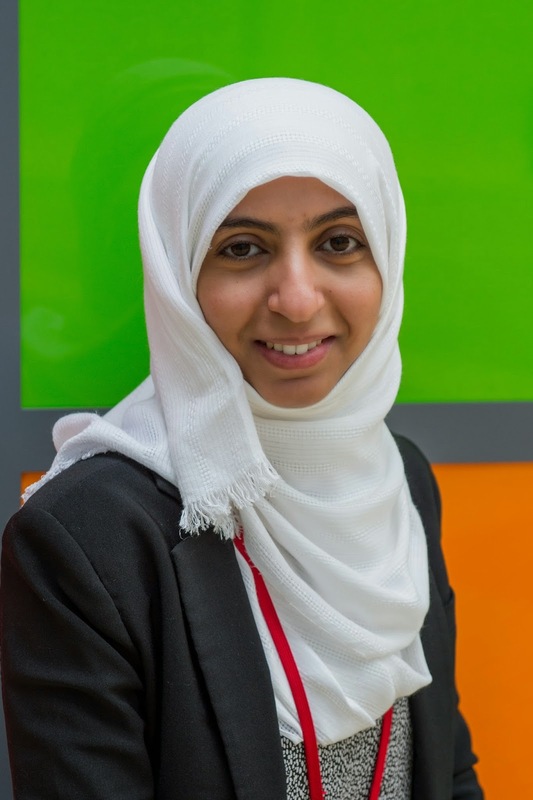 She is a senior at Khalifa University of Science, Technology and Research in the United Arab Emirates majoring in Biomedical Engineering. The Meridian International Center and UAE Embassy opened Past Forward: Contemporary Art from the Emirates at the end of May. 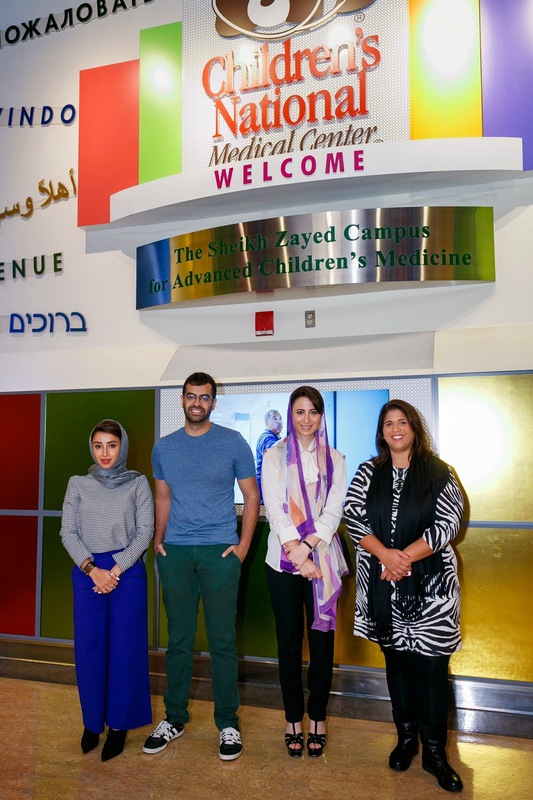 Shortly after the opening, two of the artists - Zeinab Al Hashemi and Khalid Mezaina - featured in the exhibit were gracious enough to visit patients here, along with a representative from the UAE Embassy and the exhibit's curator. The artists were able to tour the Sheikh Zayed Institute, making stops in the lab, 3D printing room and bioengineering space. 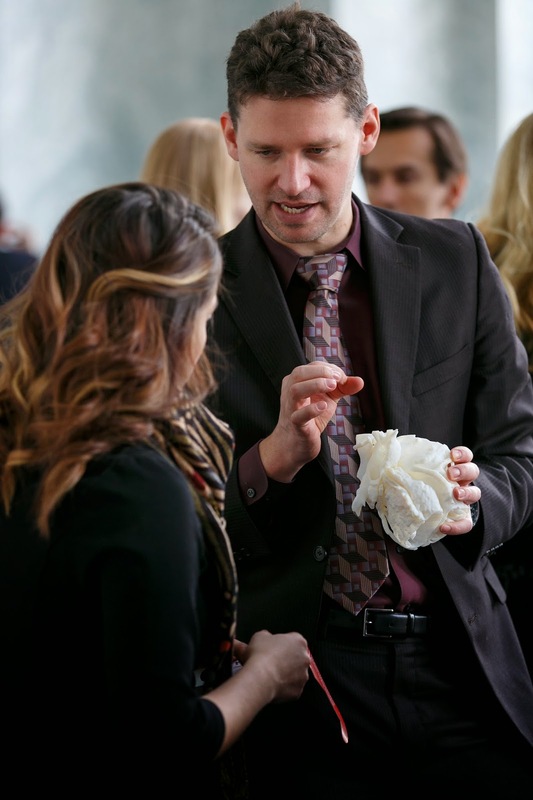 Dr. Marius Linguraru led the group and spoke about Down Syndrome facial recognition software, the power of the 3D models used before surgery and the importance of incorporating multiple disciplines in order to further innovation – doctors, engineers, scientists and maybe even artists. 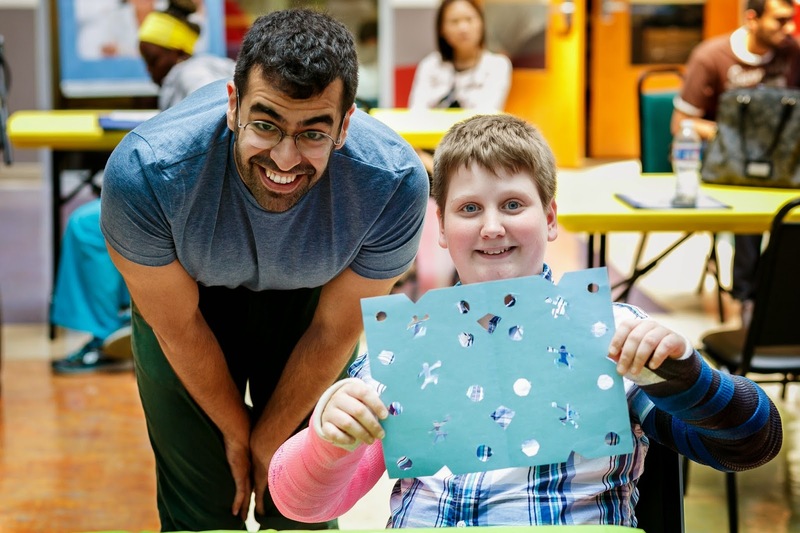 Following their tour, the artists headed to the main atrium where they chatted with kids and helped them create their own artwork. 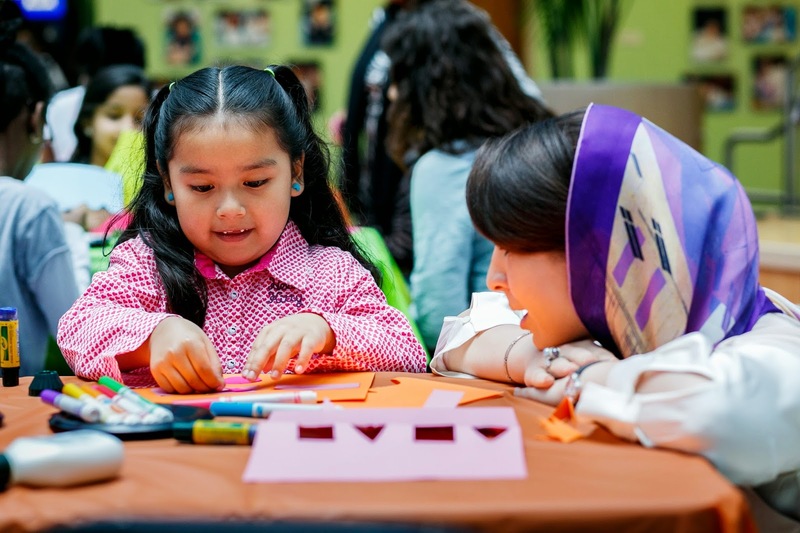 They started with a short introduction to pattern making, and demonstrated by cutting patterns out of colored paper. 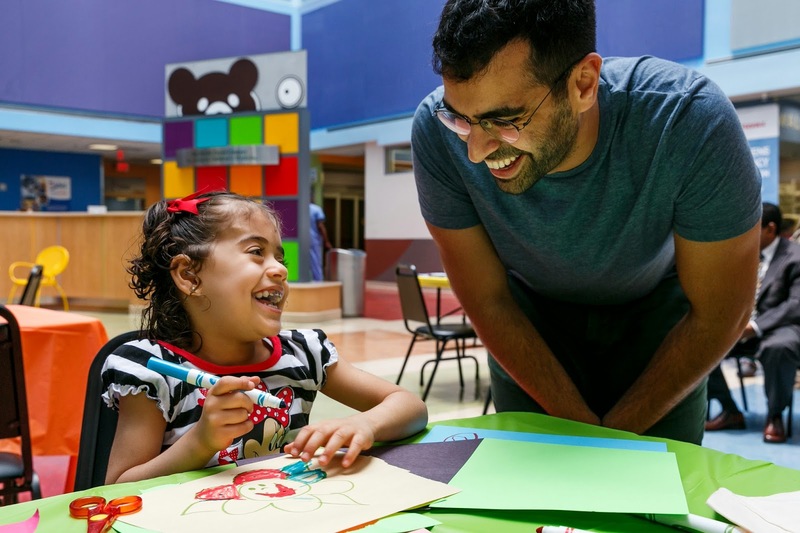 Three year old Dana was especially excited to join in on the art-making. First treated back in 2011 by the neurology team, she and her family were in town from Abu Dhabi for a follow up visit. Dana was all smiles and loved coloring (and tearing) all of the paper. Together, with the help of her mother and the artists, she created something beautiful. You have until July 13th to check out the exhibit located at the Meridian International Center White-Meyer House located on 1624 Crescent Place NW Washington, DC 20009. The exhibit is open to the public Wednesday – Sunday, 2pm to 5pm. For more information, contact: TKHarvey@meridian.org. With Ramadan now upon us, two of our experts have provided their tips on staying healthy during the holy month of Ramadan. Staying hydrated means drinking between 2 to 2.5 liters of water a day. Muslims will be fasting during the heat of the summer months, making it important to hydrate during the short window between Iftar and Suhoor. After a long day of fasting, we need to replenish and nourish our bodies with nutrients. By simply prioritizing fruits and vegetables at Iftar, you will make a world of difference to your body’s nourishment. We can often overeat at Iftar time due to our hunger throughout the day but we need to be careful in how much and how quickly we consume food after fasting. It is important that we get exercise and maintain our normal routines during Ramadan. Exercise after Iftar and before night prayers will keep your metabolism healthy and active. Protein can have the effect of making you feel full and reducing your appetite. This is obviously important if you are fasting. At the same time, protein has less of an impact calorically than many carbohydrate rich foods. We would like to wish the leadership and the people of the United Arab Emirates a fulfilling, healthy and happy Ramadan. 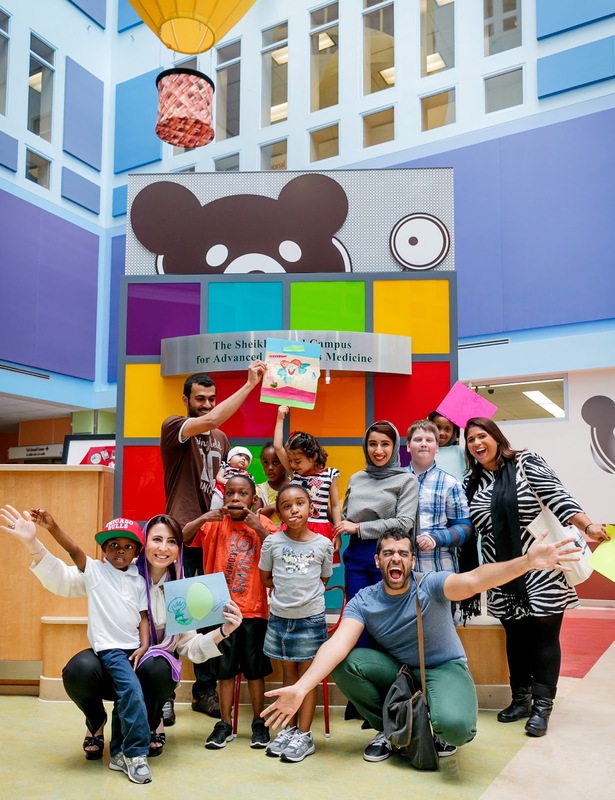 The Children’s National Medical Center Sheikh Zayed Institute for Pediatric Surgical Innovation has been awarded a LEED BD+C-Gold certification for its 6th Floor East Construction Project. The LEED BD+C (Building Design and Construction)–Gold certification is the second highest achievement possible that is awarded by the United States Green Building Council (USGBC) for the design, construction, operation and maintenance of green buildings and projects. The certification is especially rare with interior projects in the healthcare industry and reflects the revolutionary research and innovation that the institute exemplifies. 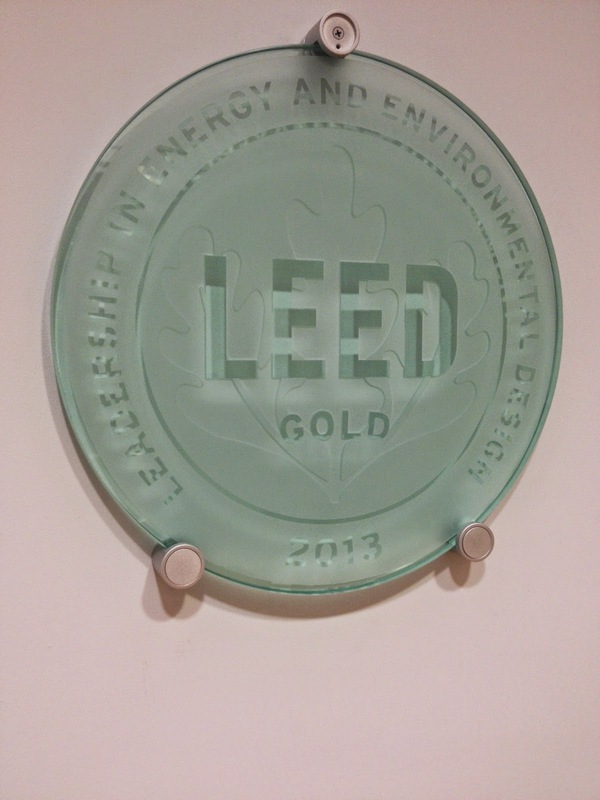 LEED (Leadership in Energy and Environmental Design) is a USGBC program that recognizes best-in-class building strategies and practices. Environmentally friendly prerequisites must be satisfied and points earned to achieve one of the distinguished levels of certification – Certified, Silver, Gold or Platinum. 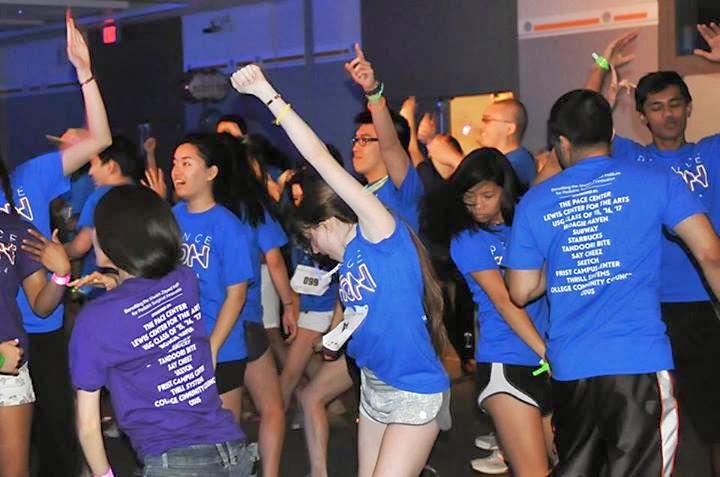 Princeton University Dances for the Institute at PrinceTHON! 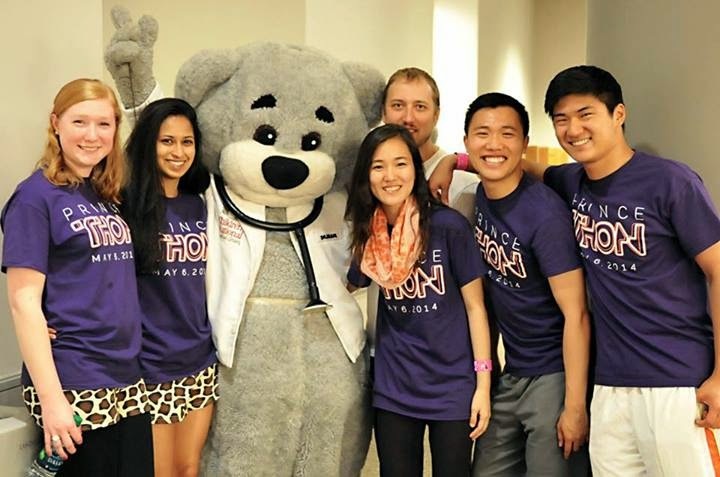 Princeton University students held a dance marathon (PrinceTHON) on May 6, 2014, to raise funds to support the Sheikh Zayed Institute for Pediatric Surgical Innovation at Children’s National Health System. 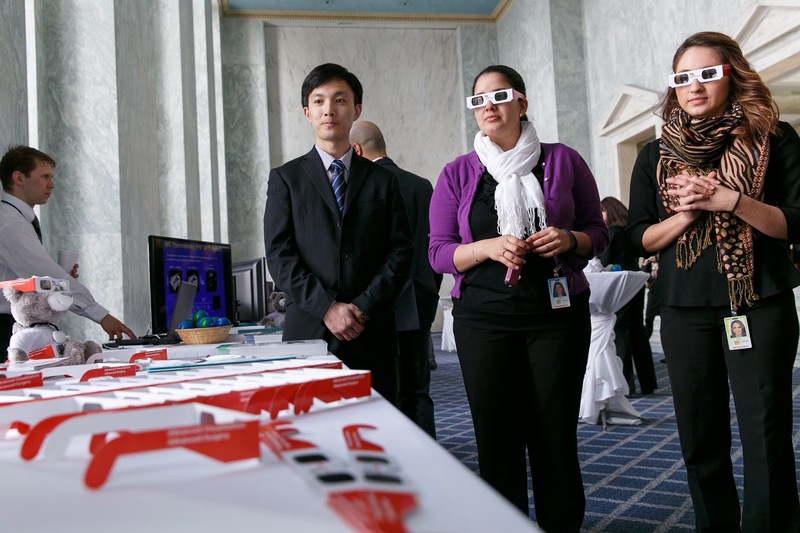 The event was organized by Princeton junior Yeri Lee, who was a summer intern at the Sheikh Zayed Institute in 2013. The co-organizers were three other Princeton students - Frank Woo, Shreya Nathan and Medha Ranka. The event was held at the Frist Student Center on the Princeton campus. The kickoff speakers were Maxwell Houston, Assistant Director of Development, Children’s Hospital Foundation, and Kevin Cleary, PhD, Technical Director of the Bioengineering Initiative of the Sheikh Zayed Institute. Mr. Houston explained the importance of philanthropy alongside the mission of a children’s hospital. Dr. Cleary described some of the advances that the institute is making, including body-mounted robots to enable procedures inside an MR imaging suite. Following the speakers, local dance experts led the participants through a series of choreographed steps to the popular song “Timber” by recording artist Ke$ha. Pizza was served, and everyone danced the night away while videos played, featuring Children's National patients naming their favorite songs (to which the students danced). By the end of the evening, over 200 students participated and over $8,000 was raised!! For more photos, please visit Princeton University's Facebook page. 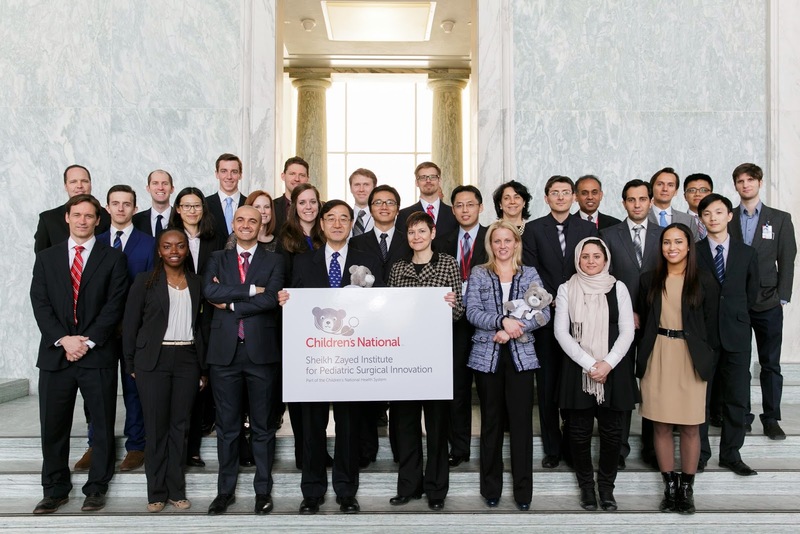 The Sheikh Zayed Institute for Pediatric Surgical Innovation goes to Capitol Hill! • Human Algometer: This device is considered a game changer in pain management for children. Built to “measure” pain, the algometer will be useful for nonverbal children and children who are not old enough to articulate the severity and location of their pain. 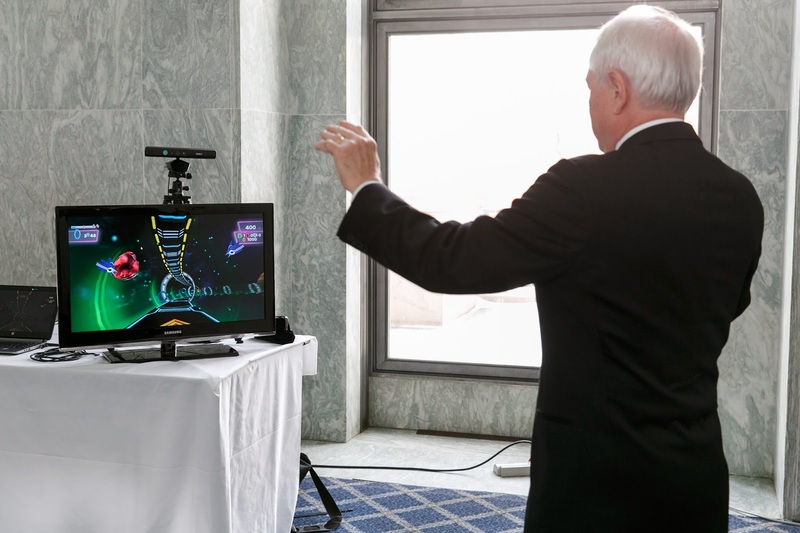 • Medical Gaming Technology: Understanding and diagnosing complex pain through videogame-play is a novel technique that is a favorite among the children who use this form of physical therapy. • Stereoscopic Augmented Reality: Laparoscopic procedures are more common today than ever before. This augmented reality dramatically improves the expert’s view during surgery. • Digital Dysmorphology: This non-invasive assessment of Down Syndrome screening proves to be a quicker method of diagnoses. to practice on before the surgery. 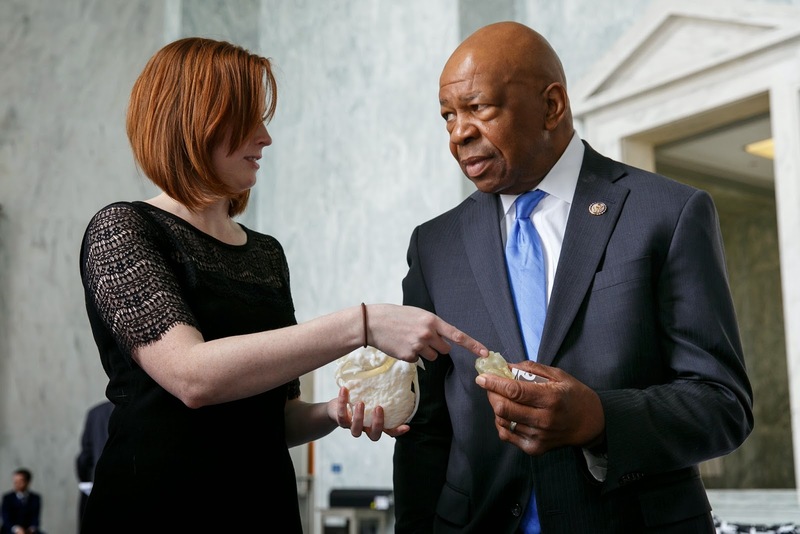 The Institute was delighted to have the US Representative for Maryland's 7th Congressional District, Elijah Cummings. 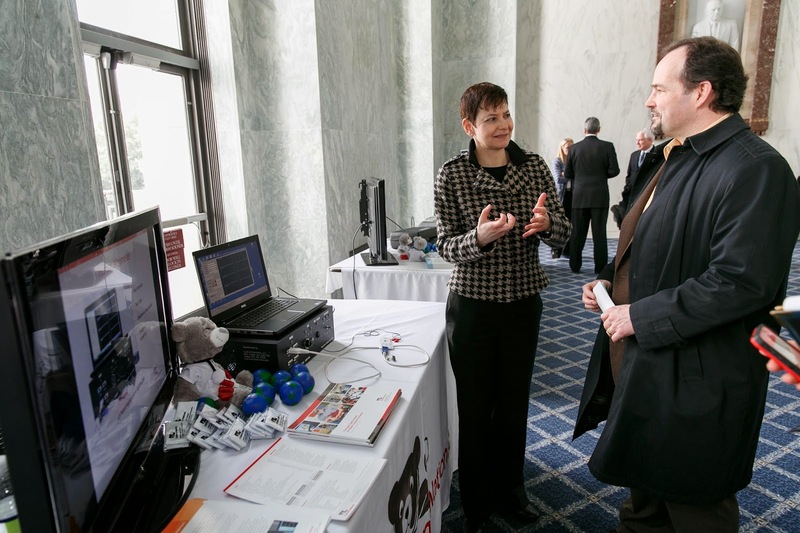 Mr. Cummings visited the laparoscopic and 3D printing tables. 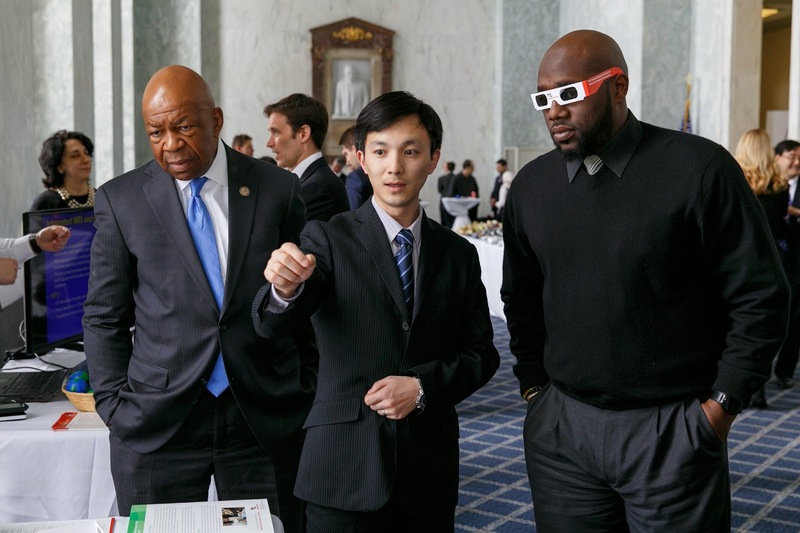 Dr. Peter Kim, Vice President of the institute, was excited for this event on the Hill. 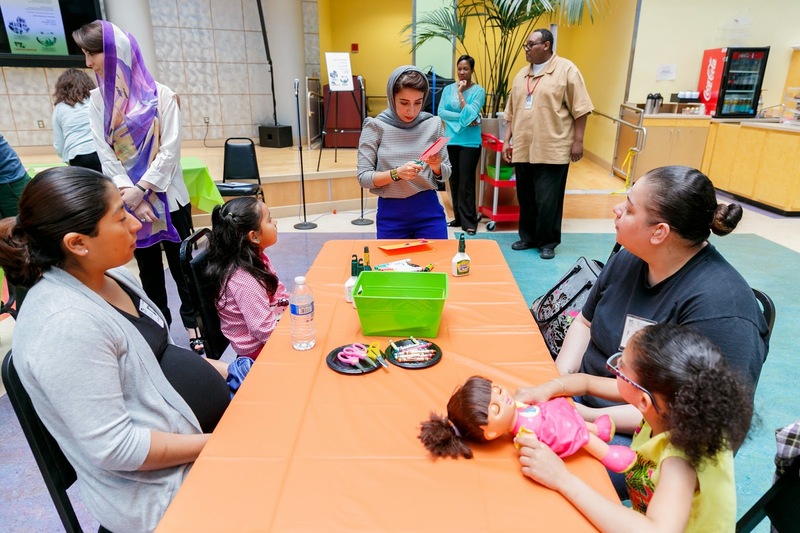 “The Sheikh Zayed Institute is the innovative hub of the health system, and what a great way spread the word through show and tell.” Visitors were able to test out the technology at each table, and speak with those who brought it to life.